One of the most well known wonders of the Southern Sky is the diffuse nebula rich in hydrogen. 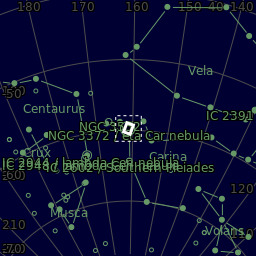 It was named after the bright star Eta Carinae found in the middle of the area. On the night of the shooting, we were blessed with a level 10/10 seeing. As a result, I was able to achieve excellent resolution in spite of having a 8" telescope mirror.